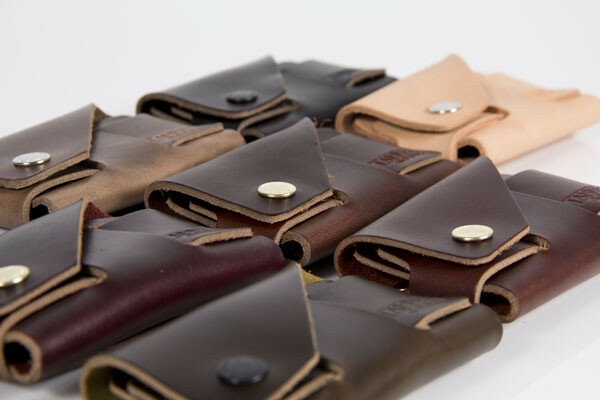 the Cardholder, good for creditcards, bills and business cards. 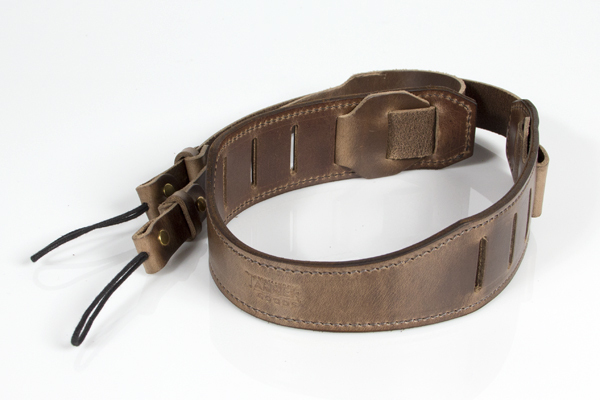 Constructed from 3,5 oz Horween Chromexcel leather. in colour Natural and how nice it ages. 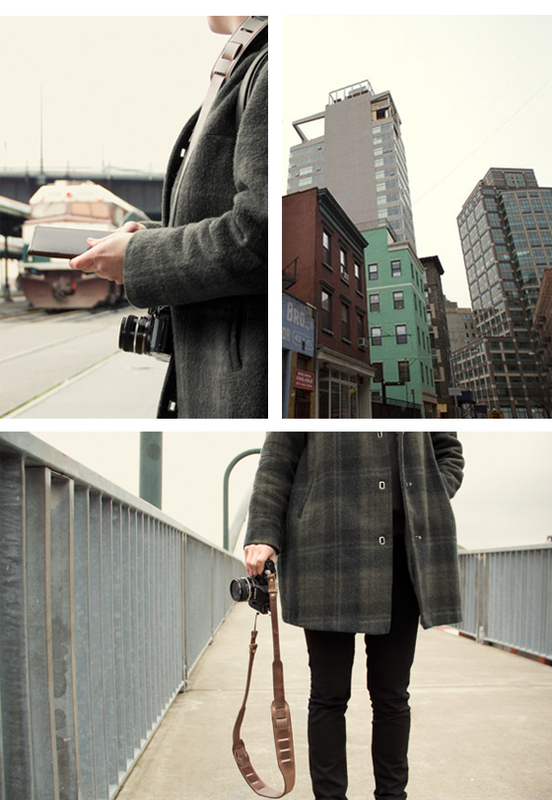 the Camera Strap. 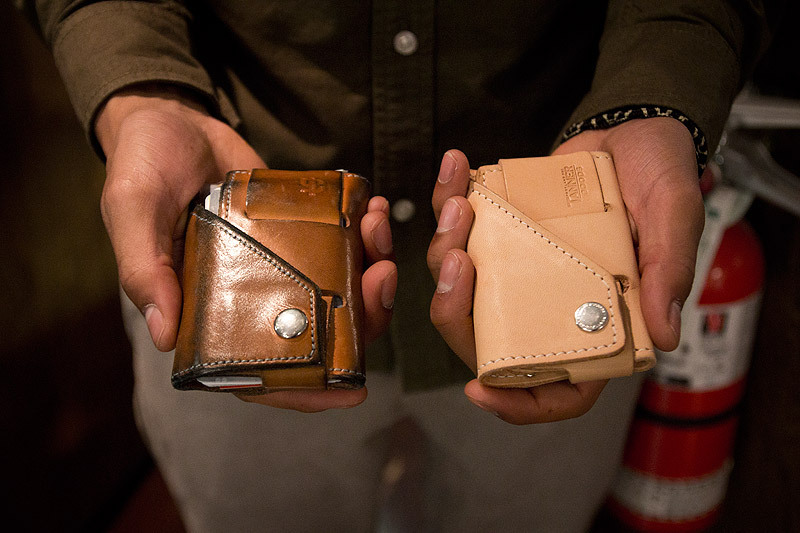 Constructed from 5,5 oz Horween Chromexcel leather. 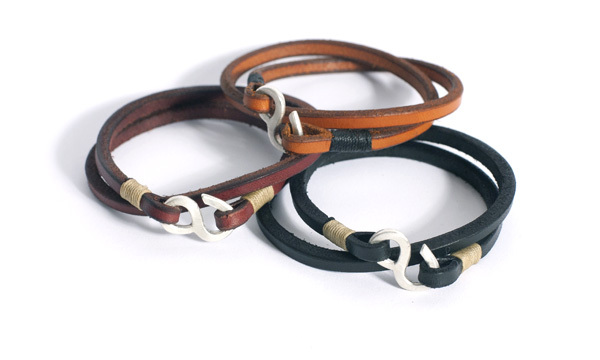 the Double Wrap Wristband with genuine 925 silver clasp, unpolished. 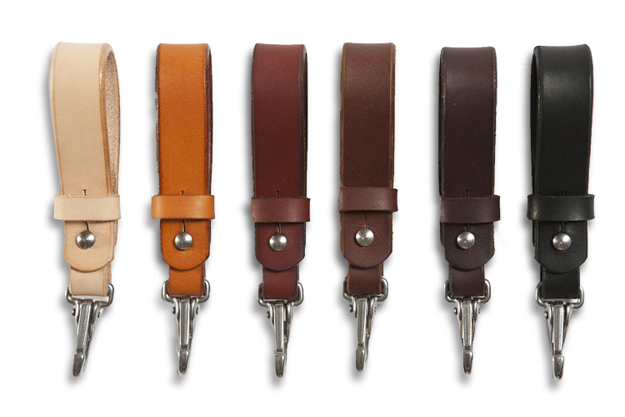 the Key Lanyard in 9-10 oz vegetable tanned English bridle leather..
the Cardholder and the Key lanyard. 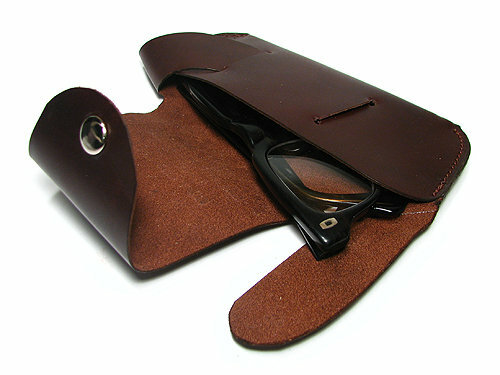 the Sunglass Case in 5,5 oz Horween Chromexcel leather. 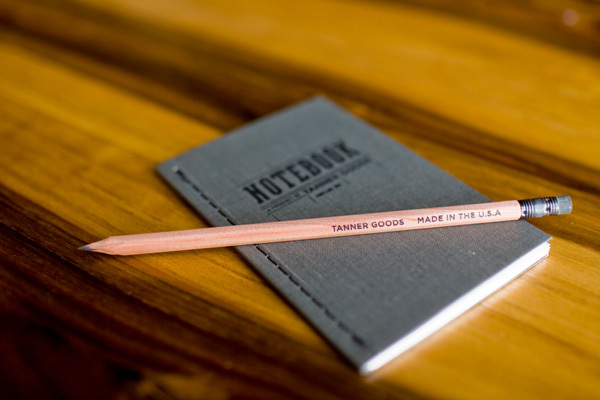 the Linen Notebook, 48 pages graph paper, available in 5 colours with the Tanner Goods # 2 pencil, hand stamped with the Tanner Goods Logo. 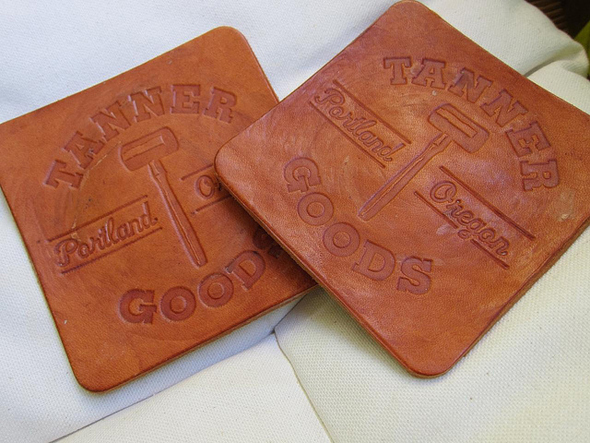 the Tanner Goods Coaster Set, made in9-10 oz English bridle leather. After one year of use. Park your whiskey tumbler in style. 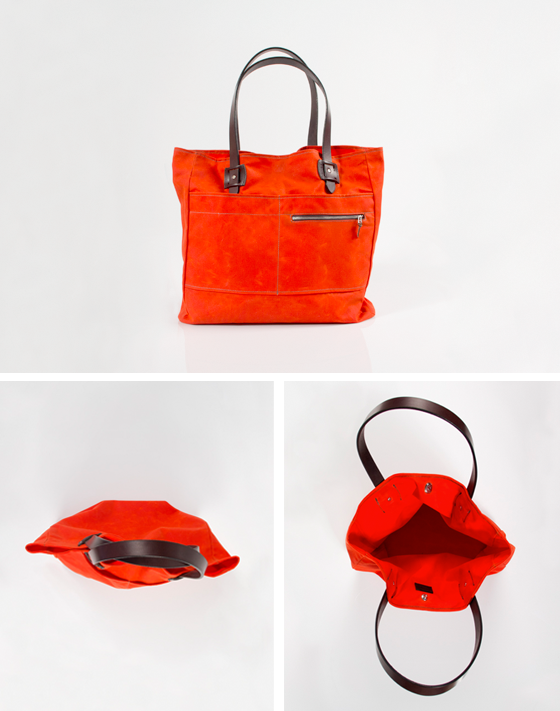 The Waxed Canvas Tote in Blaze Orange (unfortunately exclusively avaialable only in the U.S. via the TG website), made from 10 oz waxed canvas with English bridle leather handles and accents. 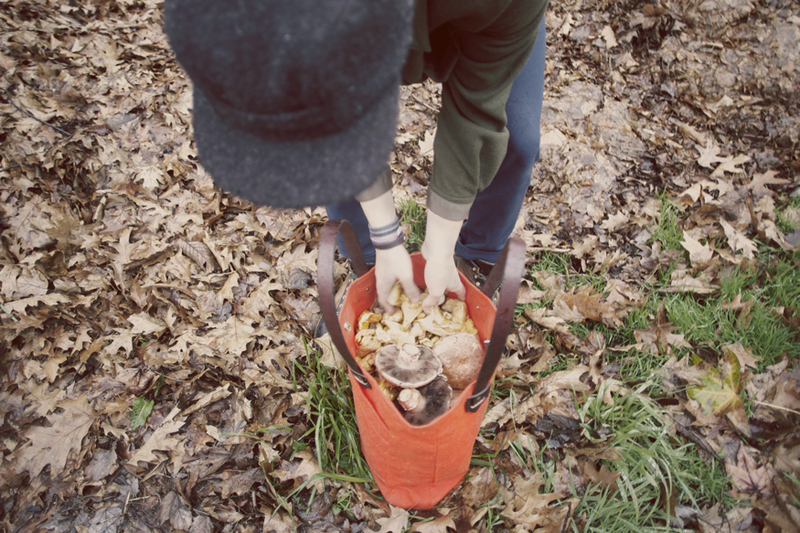 the same tote filled with mushrooms. 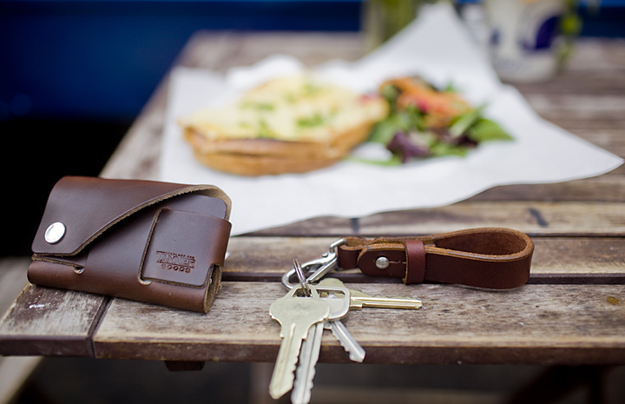 This entry was posted in Uncategorized and tagged Cardholder, English Bridle Leather, Horween, Key Lanyard, Tanner Goods by AMTRAQ. Bookmark the permalink.